The evidence is clear: wherever women take part in a peace process, peace lasts longer. In fact, a peace agreement, which includes women, is 35 per cent more likely to last at least 15 years. And without the solid foundation of peace, development is doomed to be unstable and unsustainable. A recent Secretary-General’s report to the Security Council called women leadership and participation in peacebuilding a “prerequisite for the fulfillment of the 2030 Agenda for Sustainable Development.” In other words, without women’s participation, we will not achieve lasting peace; and without the stability of peace, we will not achieve sustainable development. The UN Security Council recognized this central role of women in peace and development already in the year 2000, when it issued Resolution 1325 on women, peace and security, calling for leadership and participation of women in maintaining and promoting peace and security. To mark the anniversary of this landmark document, the UN Security Council held on Friday an Open Debate on Women, Peace and Security. Its participants took stock of the progress made over the last 17 years and discussed areas where more remains to be done. 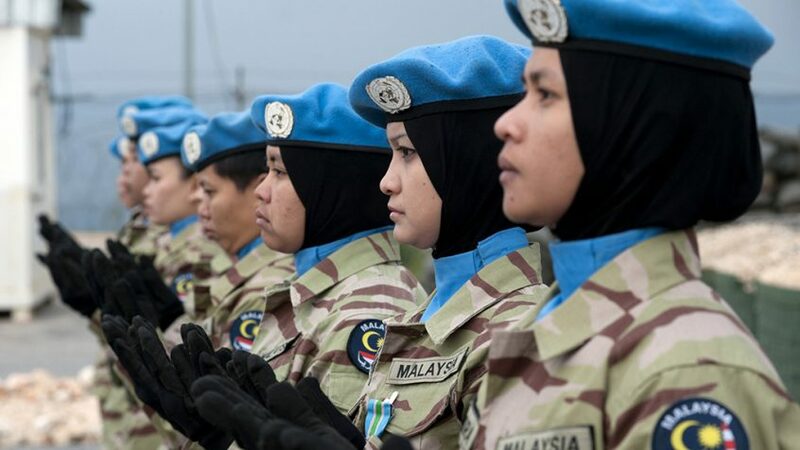 Put forward by the Resolution 1325, the idea that women should be given greater access to leadership roles in peace and security is closely aligned with the aim of Sustainable Development Goal (SDG) 5, on gender equality and women empowerment. Over the last 17 years, significant strides have been made to ensure that women have greater access to leadership positions, not only in peace and security matters. According to the “Sustainable Development Goals Report 2017,” the proportion of single or lower houses of parliament seats held by women has risen fourfold between 2000 and 2017. Close to 40 per cent of countries have used quota systems to ensure women’s representation. In addition, there are more women mediators and arbitrators participating in security and peace operations all over the world. Despite these gains in women leadership, significant gaps remain. The “Sustainable Development Goals Report 2017” confirms that women are still underrepresented in managerial positions. Despite a modest progress in some countries, fewer than one in three senior and mid-level managers are women today. The same is true for peace processes, where women continue to be underrepresented at the negotiating table. Of the nine peace processes led or co-led by UN in 2016, women participated in 11 delegations – a slight decrease from 2015. This situation persists, despite the existing normative framework for women participation in peace and security, including the Resolution 1325, and despite the solid evidence base, which confirms women’s positive impact on the durability of peace agreements. Both the Security Council Resolution 1325 and the SDGs represent the world’s commitment to evolve towards a future where women lead and participate in peace and security matters, shaping the new, peaceful and inclusive societies.